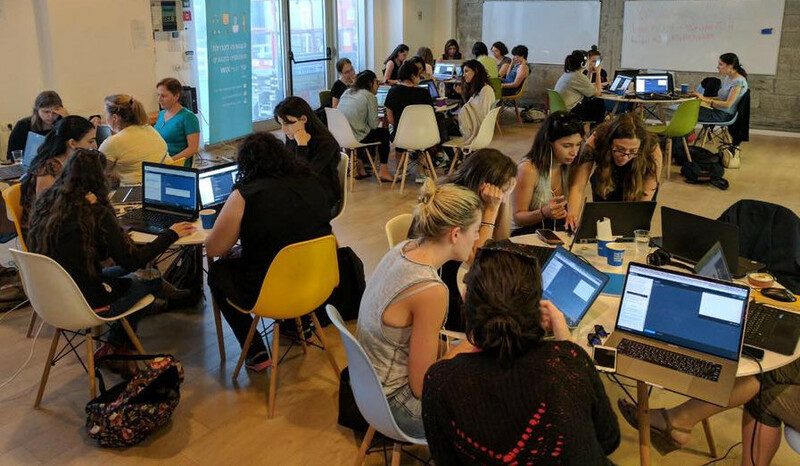 she codes; is a community of women established with the goal of reaching 50% women software developers in the Israeli high-tech scene in the next decade. It was founded by Ruth Polachek in 2013 and now has over 20,000 members. Among our members are women who want to learn software development or to move into the high-tech field. Our members also include women who want to develop new programming skills and meet fellow programmers, as well as high school students who are interested in programming. At she codes;, our core values are belief in yourself, perseverance, and community. We operate over 30 branches throughout the country. Activities include programming courses, group projects led by community volunteers, tech lectures, meetings with inspirational women, career counseling, and more. At she codes;, members are encouraged to further develop their professional and personal skills as a volunteer. The volunteers not only manage the branches, they also plan study tracks, organize events, and more. Co-founder & President, Kaltura, Inc.